Ruslan Tsarni: Uncle of Boston suspects Dzhokhar and Tamerlan Tsarnaev called them "losers"
Ruslan Tsarni, uncle of two Boston Marathon bombing suspects Dzhokhar and Tamerlan Tsarnaev, has said he wishes his nephews “never existed” and called them both “losers”. 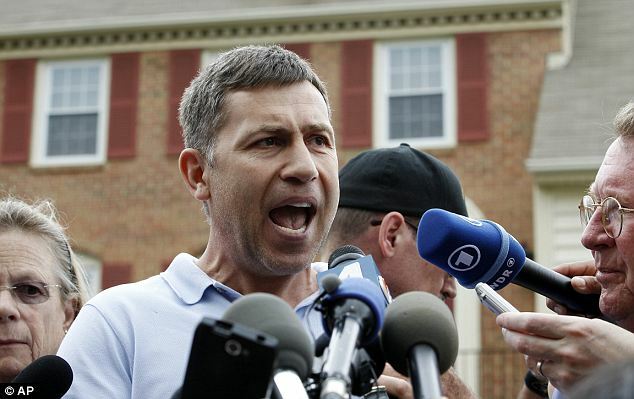 Ruslan Tsarni held a press conference outside of his home in Montgomery Village, Maryland, where he said that they had brought “shame” on both their family and their country. He described the older brother, Tamerlan, as a “loser” and said the pair were “barbarians”. “I’ve been watching it and reading it. The people who did this, they don’t deserve to even exist on this Earth, that is what I think,” Ruslan Tsarni said. Dzhokhar Tsarnaev, 19, went on the run after his 26-year-old brother Tamerlan was killed in a shoot-out with police in Massachusetts. Ruslan Tsarni is a US citizen and worked in oil and gas legislation for more than a decade. In 2005 he was hired as the vice president of business development and corporate secretary of Big Sky Energy Corporation in Canada but now he lives in Maryland. Ruslan Tsarni said that the brothers had lived in America for nearly decade since traveling from Chechnya in Russia. He had not spoken to the boys since 2009 and said that he did not recognize them when he saw the photos released by the FBI on Thursday evening. Dzhokhar and Tamerlan Tsarnaev lived together near Boston, having moved to the US around a decade ago after growing up in an area of Russia near Chechnya. Ruslan Tsarni tried to make it clear that he was ashamed of his nephews actions and urged viewers not to build a connection between their Muslim faith or their ethnicity. “Anything else to do with religion with Islam is a fraud, is a fake. We’re Muslims, we’re Chechens, we’re ethnic Chechens,” he said. Because it has been some time since he spoke to either of the boys, Ruslan Tsarni did not know what prompted their terrorist attack, saying that perhaps “somebody radicalized them but it’s not my brother”. Ruslan Tsarni said that the only possible reason for the bombings was because Dzhokhar and Tamerlan Tsarnaev were “being losers and not being able to settle themselves and hating everyone else who did”. Though Ruslan Tsarni had not spoken to either of the suspected bombers in years, his brother- their father- said that he had been in touch with them just yesterday. The suspects’ uncle added: “I’m wordless… shocked. Ruslan Tsarni called Tamerlan Tsarnaev a “loser” and described his younger nephew, Dzhokhar, as a quiet kid.